Alfajores are a traditional South American sandwich cookie. The alfajor consists of two shortbread cookies filled with a rich and creamy caramel confection otherwise known as dulce de leche. The shortbread cookies can be covered with chocolate, white chocolate, dark chocolate or covered in grated coconut or powdered sugar. The origin of the alfajor dates back to 19th century Europe. While under Morrish occupation, Spaniards traveling from Andalucia, Spain would bring these heavenly treats with them to the Americas. In fact, the word alfajor comes from the Arab word “honeycomb”. Today, there are many variations of alfajores throughout Latin America. 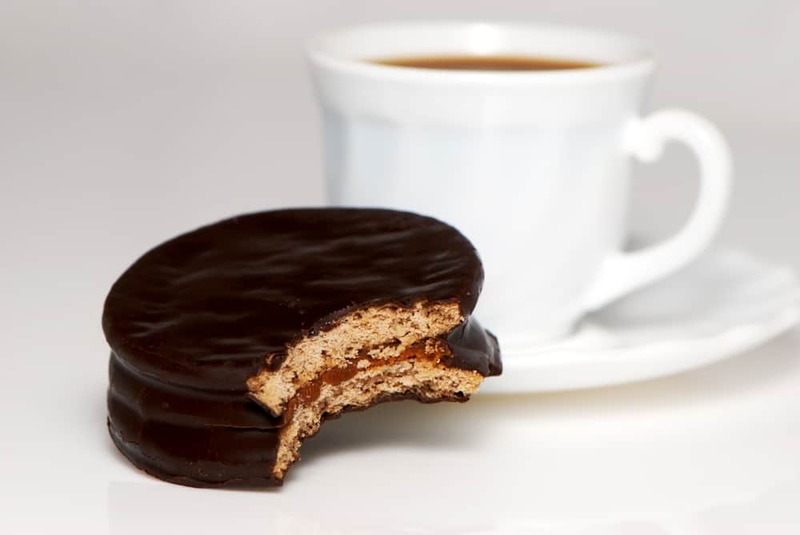 In Peru, alfajores are occasionally filled with an anise flavored syrup instead of dulce de leche. The anise filling gives the alfajor a similar taste to the popular Peruvian Turron de Dona Pepa. Sometimes alfajores use three cookies instead of two hence the name Triple alfajores. Various fillings such as chocolate, fruits and nuts can be used depending on the country, province or region. However, the most popular and traditional filling is dulce de leche. Argentina is the world’s largest consumer of alfajores. It is an Argentine pastime and very much a part of Argentina’s culture. They are eaten at any time of day and there is no wrong time to indulge oneself. In fact, there are cafe chains that specialize in serving alfajores, most notably Havanna alfajores in Argentina and in Peru, La Casa del Alfajor. According to the Guiness Book of World Records, the largest alfajor in the world, measured more then 6 feet in diameter and 36 feet height weighing approximately 1,000 pounds. The gigantic alfajor was created to celebrate Uruguay’s first National Alfajor Festival. It took 30 people to prepare this record breaking alfajor.